Mark Andy Inc. today announces the expansion of the Presstek DI distributor channel as demand for high-quality, small to mid-size print runs increases. Demand is also high for the Presstek DIs. The environmentally-friendly, high-quality digital offset presses fill a market gap between low-volume digital, toner-based printers and high-volume offset presses. 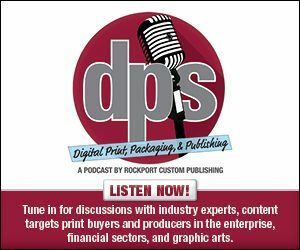 With the expansion of the distribution channel, authorized Presstek DI partners, now including Kirby West, can provide a complete digital offset solution to meet their customers’ varied printing requirements. “Our goal is to help our customers succeed, and by expanding our distribution channel with experienced companies like Kirby West, more printers can benefit from a complete Presstek printing solution,” comments Ralph Jenkins, Director of Sales for Mark Andy Print Products, Mark Andy Inc. Founded in 2009, Scottsdale, AZ-based Kirby West provides printing equipment to commercial printers of all sizes. Kirby West is experienced with Presstek DI presses, which are popular with government and university in-plants as well as commercial print facilities for their high-quality, environmentally-friendly, and economical print runs.